Home » Generations / Classics » Cybertron Con Sneak Peak – Titans Return Sixshot, Gnaw, Platinum Unicron, & More! 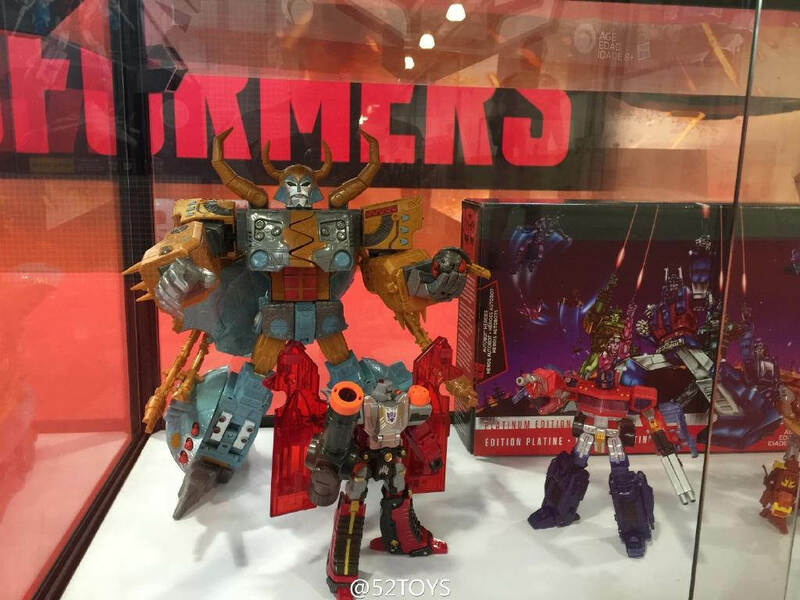 Cybertron Con Sneak Peak – Titans Return Sixshot, Gnaw, Platinum Unicron, & More! 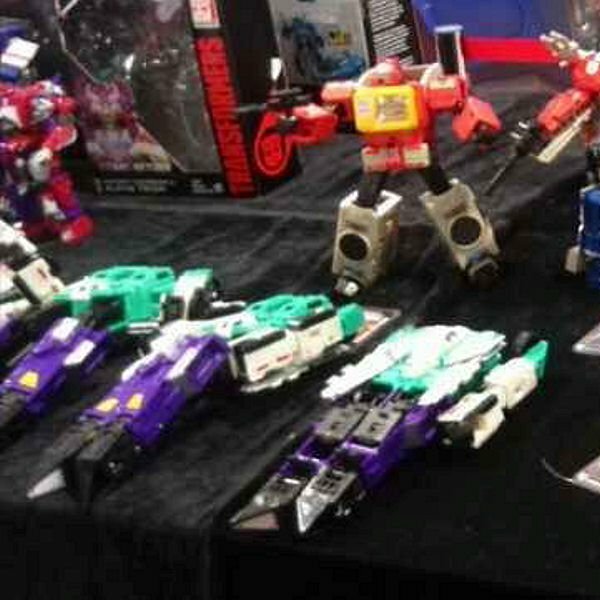 Via @autobase_aichi on Twitter, we have a photo of what appears to be our first look at the Titans Return Sixshot toy at Cybertron Con! Unfortunately, the image in question is not of the best quality and the figure appears only in one mode… and seems somewhat mistransformed. Consider this a teaser for what we’ll hopefully be seeing more of shortly! Sixshot,triplechange G2 Laser Optimus Prime(100% later Octane remold),Deluxe HotRod,TitanMaster Fangry,TitanMaster Ptero(Swoop),legend kickback. Update #2: Added Platinum Unicron & Legends Gnaw pics. My family and I really enjoyed Cybertron Con last year. Wish there will be one again this year in China! If not, I really hope they will bring Hascon to China next year, I am sure my wife and kid will have a blast while I go absolutely mad with joy! No. Where do you see it? Anyone else see the deception symbol on optimus\'s box? I still wish they'd make a Dinobot out of Generations Springer. They had a prototype that went nowhere. Cheetor isn't single use. They can reuse the entire mold save for his bot and cheetah head. That's plenty enough to go on. And they have a ready made black repaint in Shadow Panther/Ravage. I wouldn't get your hopes up for a true BW Dinobot update unless you're okay with something like a Titans Return Grimlock retooling/repaint. I've finally had time to upload Peter Cullen's second panel from Cybertroncon for those interested. Once again I apologise for the shakiness due to our unpreparedness at our first con. We are a lot closer to Peter in this one so the sound should be a bit better. I have absolute faith that a Tigatron and possibly a BW Grimlock were at least considered. Considered, for sure. Especially Grimlock. The Dinobot mold was the stronger of the two beasts we got, but like Cheetor, was brought down by an unnecessary gimmick — namely the launcher in the tail. I'm confident Dinobot will get a Generations update in the not too distant future, and a Voyager sized figure at that. That's the interesting thing. Cheetor is the single-use mold. You can't do a straight redeco of a cheetah into any of the other big cats. Tigatron, on the other hand, as a larger white tiger, has much more potential. 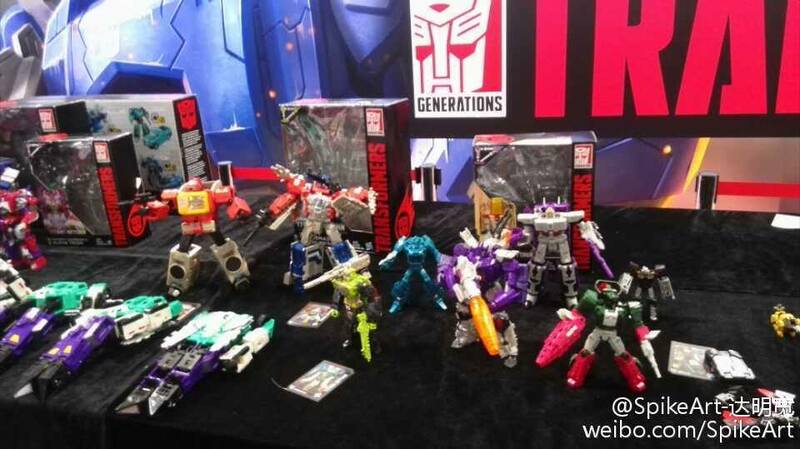 MP Beast Wars figures in the future (as well as BW figures in the Generations line) are in an interesting position. 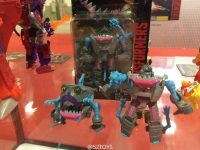 Hasbro and TT like to get as many uses out of a mold as possible, but most of the BW characters will need one-off molds. 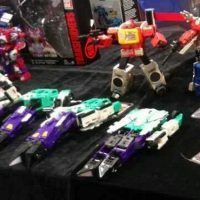 Essentially, Hasbro and TT will rely on wave-mates of these figures selling well to account for the lack of redeco/retool potential of the BW figures. But from the reaction within the fandom, I think TT's faith will be rewarded by strong sales of both MP Primal and Cheetor. 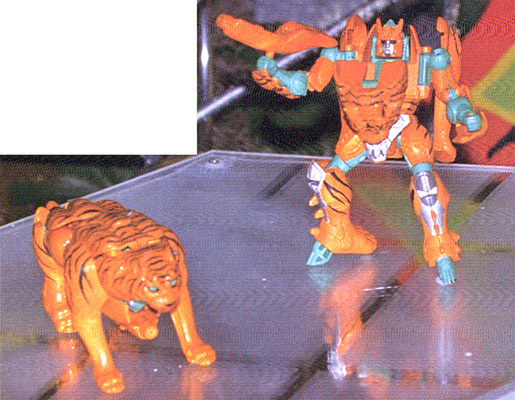 And the interesting thing to me is that Cheetor was originally the mold that Tigatron was redecoed from. I honestly think that the only reason there wasn't a repaint/remold of Universe Cheetor OR Dinobot for that matter is because of their location near the end of the Universe 2.0 line. I'm not going to go into how many Cheetors and Dinobots were pegwarming in every store in my area because 1. I don't have photographic proof and 2. someone will come in to say how they couldn't keep those two on the shelf while Rachets were everywhere, so it is irrelevant. However, since several A/E/C molds were planned for the line and moved to the Movie line, as well as Fracture apparently being intended for Uni 2.0 (source TFWiki), I have absolute faith that a Tigatron and possibly a BW Grimlock were at least considered. no testies in Beasties, huh? That should have been the show's tagline. 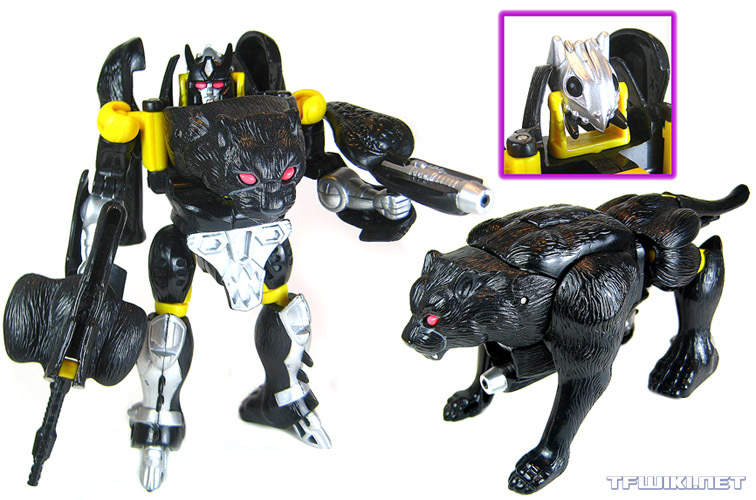 We're more likely to get Zodiac-themed TFs instead of Beast Wars. Only problem with that Tigatron statue is the fact that it's not CGI-accurate like Primal was. well, the statue does have anatomically accurate genitalia, and i'm pretty sure tigatron's sack was hanging around all the time in the show. you sure you're a true fan? oh wait, they probably censored it in the canadian version. no testies in Beasties, huh? Verno, I root for you and your love for BW. But dude, it'd take an act of Primus to get Takara and Hasbro to decide to crank out a single mold use of a new Tigatron engineered from the ground up. I know you hate hearing it, but unless they can squeeze at least one repaint/remold from it, I wouldn't hold my breath. But I'm probably just jumping to conclusions. Possibly. Conventions like this in the past sometimes source fan or employee collections for displays like these. The extra tiger statue may have been someone's stand-in for Snowstalker. I wonder how much remolding it would take to get Tigatron out of Cheetor, with the MP coming out. And for that matter, I'm wondering why we didn't get a remold if not a repaint of Universe Cheetor as Tigatron. Part of me thinks it could end up being a completely new mold. The same layout and transformation, but there's a fair bit of bulk that needs to be added. What is this Tigatron statue?! Cheap tourist souvenir. 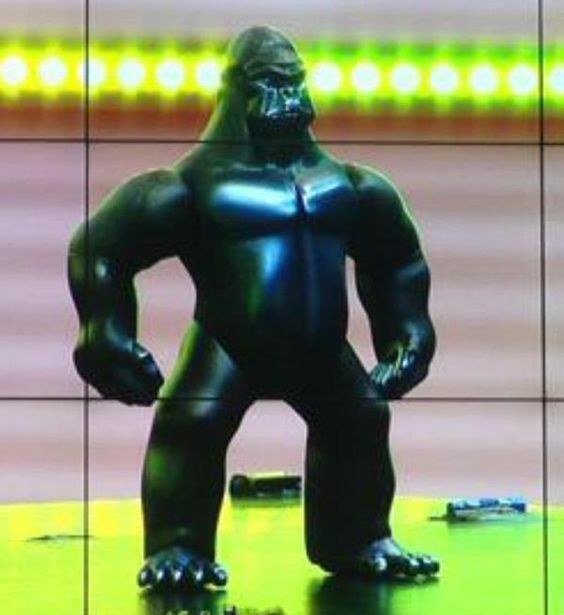 You can even see the base that comes with the statue. I think they still sell these in China. All times are GMT -4. The time now is 7:46 AM.